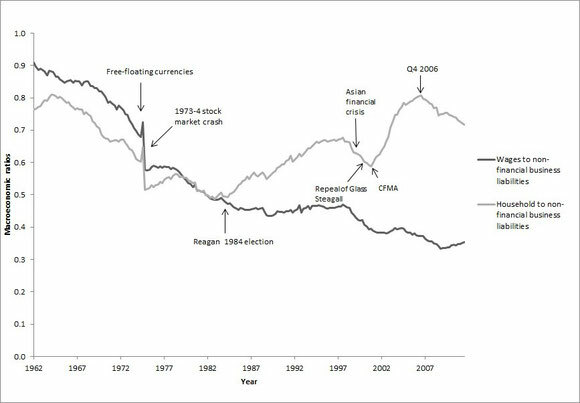 These pages contain the data, simulations and results for the Economics eJournal paper 'Circuit Theory extended: the role of speculation in crises'. These are simulations of a simple Monetary Circuit where banks lend to both businesses and households. The interest rate is set by the central bank. Spending is an aggregation of wages, capital gains and losses, dividends and loan interest. With differences in financing behaviour, high and low interest rate economies emerges. When interest rates are high, banks accumulate surplus loan interest and prefer to fund investment. In a speculative economy, banks prefer to invest where investment gains are higher than the interest rate, and to lend in markets with where investment gains are lower than the interest rate. Speculation makes the system precariously liquid/illiquid. In a Ponzi economy, where loans never get repaid, banks rely on systemic crises, debt expansion, and further speculation, to maintain their solvency. When households are bailed out, there is an immediate increase in household spending and a reduction in household loan payments. The model converges more quickly to higher output. With a Keynesian boost, wages rise, so household spending increases. Bank spending also rises due to higher business loans and the overall boost to the economy is highest. When banks are bailed out and wages are allowed to fall, businesses pay down their loans and the economy shrinks. Austerity is accompanied by a larger share of output going to profits. If there is a policy to maintain wages, spending falls less, with an intervening period where the economy shrinks as households pay down their loans. This simple analysis, using the Godley and Lavoie approach, suggests that money is not neutral. With financial deregulation, banks will lend to the sector where returns (r) are lowest and invest where returns are highest. In general, banks prefer higher loan payment rates to increase their spending; households prefer lower loan payment rates to minimise their borrowing costs; and businesses are split depending which sector they cater to. Lower loan payment rates mean that businesses can pay higher wages that boosts household spending, but higher rates might also boost bank spending.